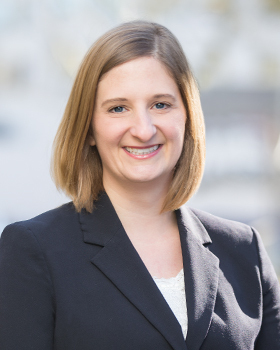 Lea joined Sussman Shank in 2018 as a member of the firm's litigation department. Lea's practice is focused on complex business and commercial litigation. For more than 10 years she has represented clients in a variety of industries including healthcare, hospitality, insurance, manufacturing, and transportation. Her litigation experience in these industries includes wrongful death, personal injury, breach of contract, defamation, product liability, and probate disputes. Lea enjoys spending her free time running, hiking, and cheering for the Green Bay Packers.